USDA plant hardiness zones, developed by U.S. Department of Agriculture, were created to identify how plants fit into different temperature zones – or more specifically, which plants tolerate the coldest temperatures in each zone. Zone 2 encompasses areas such as Jackson, Wyoming and Pinecreek, Alaska, while Zone 3 includes cities like Tomahawk, Wisconsin; International Falls, Minnesota; Sidney, Montana and others in the northern part of the country. Let’s learn more about the plants that grow in cold climates like these. Gardening in zones 2-3 means dealing with punishing cold temperatures. In fact, the lowest average temperature in USDA hardiness zone 2 is a frigid -50 to -40 degrees F. (-46 to -40 C), while zone 3 is a whopping 10 degrees warmer. 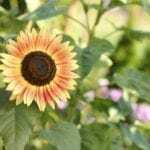 Gardeners in frigid climates have a particular challenge on their hands, but there are a number of tough but lovely plants that grow in cold climates. Here are some suggestions to get you started. Lead plant (Amorpha canescens) is a rounded, shrubby plant with sweet-smelling, feathery leaves and spikes of tiny, purple blooms. Serviceberry (Amelanchier alnifolia), also known as Saskatoon serviceberry, is a hardy ornamental shrub with showy, fragrant blooms, tasty fruit, and lovely autumn foliage. American cranberry bush (Viburnum trilobum) is a durable plant that produces clusters of big, white, nectar-rich flowers followed by bright red fruit that lasts well into winter – or until birds gobble them up. 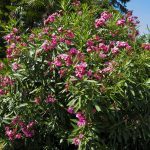 Bog rosemary (Andromeda polifolia) is a mounding groundcover that reveals narrow, bluish-green leaves and clusters of small, white or pink, bell-shaped blooms. Iceland poppy (Papaver nudicaule) displays masses of blooms in shades of orange, yellow, rose, salmon, white, pink, cream and yellow. Each bloom appears atop a graceful, leafless stem. Iceland poppy is one of the most colorful zone 2 plants. Mukgenia nova ‘Flame’ displays deep pink blooms. Attractive, toothed leaves create a stunning display of bright color in autumn. Hosta is a hardy, shade-loving plant available in a wide range of colors, sizes and forms. The tall, spiky blooms are butterfly magnets. Bergenia is also known as heartleaf bergenia, pigsqueak or elephant ears. This tough plant boasts tiny, pink blooms on erect stems arising from clusters of glossy, leathery leaves. Lady fern (Athyrium filix-feminia) is one of several sturdy ferns that are classified as zone 3 plants. Many ferns are perfect for a woodland garden and lady fern is no exception. Siberian bugloss (Brunnera macrophylla) is a low-growing plant that produces deep green, heart-shaped leaves and small, eye-catching blooms of intense blue.